What should you charge for your services? A few years ago, I was introduced to a woman who was building a branding consulting business. We’ll call her Katherine. She was going through a tough time in her personal life. In the middle of a divorce with her husband of fifteen years, which left her in a financial strain. A strain that caused her, and her two kids, to move from a 30,000 square foot home in Beverly Hills to a 800 square foot apartment in the Bay Area. After years of relying financially on her husband, Katherine was now in a position where she could not support herself. For the last several years, she had worked at non-profits. While the causes were dear to her heart, the non-profits were not in a position to pay her a decent salary. but had not been generating an income for herself. Prior to marrying her husband, she had been an attorney in New York and had a brief career working for a branding agency. After applying to several agencies in the Bay with no luck, she decided that the best next step for her was to hang out her shingle as a consultant and tap her network of contacts for clients. She was getting traction for potential consulting opportunities, but for some reason had a hard time closing the deal. Or she would close the deal, but wind up doing it for free. I remember being in that position of giving away my services for free and know, first-hand, that it is a fast-track to burnout. A mutual friend of ours suggested that Katherine reach out to me. 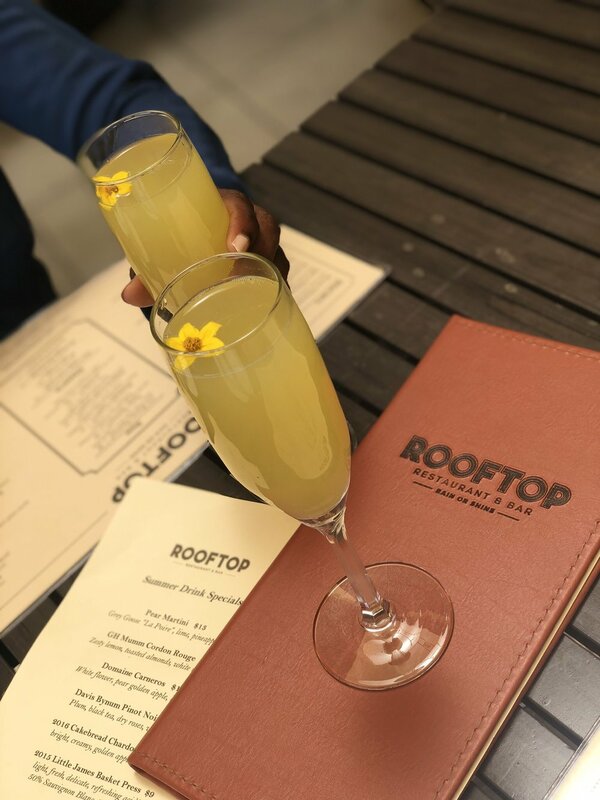 We met up for mimosas at the Rooftop restaurant in Walnut Creek, California. After a few minutes of getting to know each other, we jumped into chatting about Katherine’s branding business. “So, how are things going as a consultant,” I asked. 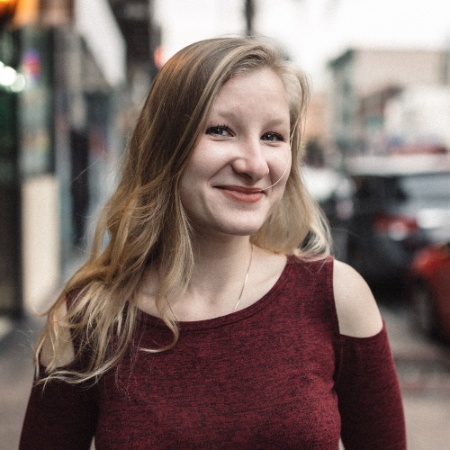 After asking her a few more questions, it was clear to me that Katherine lacked confidence (the biggest skill you need to be a business owner) and a structure for pricing her services. As a service- based business owner, one of the most challenging tasks is accurately pricing your services. Unlike product based business who have a fixed cost and then add a % above that to determine their price, you have to account for your time and expertise. First things first, when a potential client asks this question, take a deep breath. You don’t have to share your prices in the conversation if you do not feel comfortable doing so. When you state your price, you want to come across as confident. The worst thing you can do is stumble over the first random fee that pops into your head. Because person on the other side of the phone will feel your hesitation and will begin to doubt if you are the right person for the gig. Secondly, you want to ask them two clarifying questions to better understand their perspective. “What is the budget you’ve allocated to this project?” If they haven’t given it any thought, ask them to give you a ballpark range. “What is the timeline that you want this to be delivered?” If it’s a quick turnaround, then you will need to charge a higher fee. If the project is under $2,000, you should feel comfortable stating that on the phone. If it is over $2,000, let them know that you will be putting together a proposal that you will send to them within the next five business days. One of the most common misconceptions I hear from service-based business owners is that they don’t have an overhead. They think that it doesn’t cost them any money to run their business. But your time is valuable and it needs to be compensated. In addition to your time, there are five key factors that need to be considered. These factors should not be delineated in your proposal. They are merely to help you calculate your total fee. Your savings and investment. When you worked for a company, your retirement savings was usually matched. Now you have to cover that yourself. If you are saving for a home or to start a family, this should also be included. Be sure to include this in your calculation. Expertise. The amount of time you’ve invested in honing your craft is saving someone else the time from learning it. And time is money. Plus, your execution will be far greater than theirs because you are solely focused on developing this craft. Tax payments. Depending on your home country, you should plan on paying 15- 40% of your earnings in taxes. Healthcare. You are now responsible for covering your insurance costs and this needs to be included in your fee. Your salary. Don’t forget that you deserve to get paid, too! All the money should not go back into the business, some of it should go to you. Otherwise, you’ll be on the fast track to burnout. Once you have calculated the above factors, summarize it in a proposal to the client! And don’t forget that you will want to have a business account ready to accept your payment. Check out Radius Bank’s Business Tailored Checking! It’s made for the small, independent business owner (like you, Katherine and me!). And you will earn 0.75% on balances over $10,000. Imagine waking up every morning, excited to jump out of bed and greet the day ahead. A day full of everything you want to do. Reading your favorite blogs, writing, catching up on the latest Hollywood news, grabbing a mid-morning tea with a girlfriend before heading to yoga. Then getting your BOSS on with meetings and socialite events. Maybe there’s even a photoshoot thrown in the mix before you head home to wrap up emails and plan for the following day. Whatever your passion is, there is a way to make it a part of your life. In fact, it is a necessity. Whether you’re doing it just for fun, or want to get paid, giving yourself permission to follow your passion is an important step in feeling fulfilled. We, of course, are big fans of you getting paid to pursue your passion. Because money is a tool for you to be able to further express your creative talents and experience all that life has to offer. If you haven’t already, be sure to read our 14 reasons why you need to launch your side hustle, NOW. Once you’re done reading it, let’s get to work and make your passion your paycheck. Visualize. Spend fifteen minutes daydreaming about the life you wish to create. What are the activities you’re doing, who are you hanging out with, what feelings are you experiencing, foods you are eating...the more detailed you are, the better! Choose a focus. If you are like most creatives, you have a lot of ideas that you wish to pursue. In the beginning, it is ok to try different tasks but always have one task as your guiding light. And make sure that all of the other tasks support that guiding light. Set financial goals. One year from now, how much money do you wish to add to your savings account? How many trips do you want to take and how much will they cost? Think through all of the experiences you wish to have and how much it will cost. Write down your goals. Gaining clarity on what you want accomplish is a HUGE step in achieving it. Spend a few minutes writing down your financial and life goals. Then, set a deadline to achieve it. Write a one-page business plan. Include all of your marketing activities that you will do to achieve your goals. If you are a blogger or vlogger, how many pieces of content will you create each week? How often will you post on social media? How many prospective clients or sponsors will you reach out to each week? Write it down. Create a financial foundation. Open up a bank account that is dedicated to supporting your goal of making your passion your paycheck. This account will be used to deposit any earnings you have, and cover any expenses. Not sure which account to use? We love the hybrid-checking account from Radius Bank. It’s perfect for tech-savvy, creatives like yourself. Find a money buddy. We all get discouraged or distracted, and having an accountability partner will help you stay on task. Check out our tips on how to choose the right money buddy for you! Create a daily checklist. Write down one thing you will do everyday to make your dreams a reality. Write down your gifts. Many of us work towards goals, reach them, and then quickly work towards the next one without stopping to congratulate ourselves. Next to your goals, write down the gifts you will treat yourself to once you achieve them. It can be a walk around the park on a Tuesday afternoon or a spa day treatment. Schedule a money date. Set aside 15 minutes every week to do your #MoneyandMimosas date. This is where you review your finances and note your progress. Once you’re done, be sure treat yourself to a mimosa. For more tips on how to turn your passion into a paycheck, join our weekly insider list full of money tips to help you live your best. One of the lessons that many of us learn at some point in our career, is that we should not assume that our current situation will last forever. Some of our Money & Mimosas readers write in to us to share that they have recently been laid off and are trying to figure out how to financially maintain their lifestyle. We truly believe in the importance of a side hustle. Even if your job is 99.99999% secure, having an additional income stream is empowering because you know that you have the skills to support yourself. And having a side hustle does not have to mean that you turn it into a full-time business. For example, you can love your job as a full-time marketing analyst and use those same skills to develop your blog on the side. Your blog may also help you sharpen your skills that will help you in your current position. Here are fourteen reasons why you need a side-hustle. Extra money for those shopping sprees and investing. It goes without saying that having a side hustle helps you make more money. This additional money can go towards your indulgences and/or your investing accounts so you can start living like a BOSS. The extra dolla bills you have can go towards building up a high-yield savings account. This is an account that has a higher interest rate than most savings account. 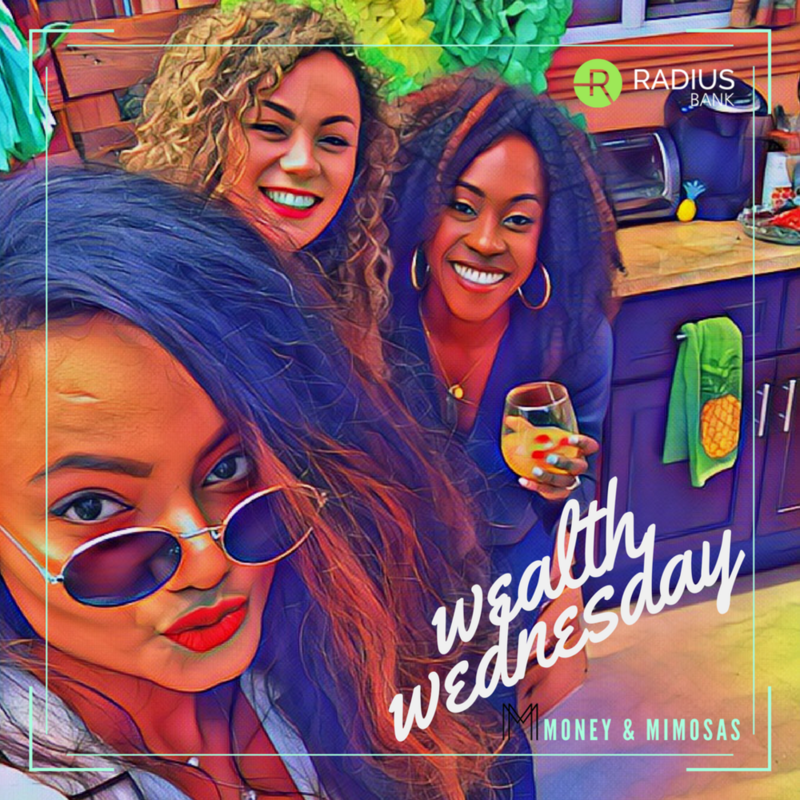 We really dig Radius Bank’s high yield savings account that has a 1.86% APY. It provides a cushion in case you suddenly lose your job. None of us like to think about the negative side, but there is a chance that your company could go through a series of layoffs. One our members worked as a staff accountant and the company went through a terrible downturn. She was asked to cut her pay by 20%. That is a huge pay cut! But, because she was teaching Zumba on the side, she was able to make up those lost wages. Opportunity to write off expenses on your taxes. Most of the things you buy to support your side hustle, can be a tax deduction. Yay! Creative outlet. We all need to express ourselves creatively, and sometimes our job doesn’t provide the opportunity to do that. Having a side hustle will allow you to let your creative juices flow while still holding down that 9 to 5 J-O-B. New experiences. Wow, you never know what life has to offer until you put yourself out there. Having a side hustle forces you to get out of your comfort zone and can lead to opportunities that you never knew existed. Learn additional skills that can translate to your career. Writing, photography, marketing, sales - these are just some of the skills that you will pick up from your side hustle. And all of these skills will be helpful to you regardless of the career you have. Your success can be used to negotiate a higher salary. Did you grow your email list by 150%? Or snag a huge press mention? Or build a loyal following and host sold-out events? Depending on your role at work, you can mention these wins as a way to demonstrate your advanced skill-set and ask for higher pay. Live life on your own terms. If you are out of PTO you can still generate income while taking time off. Have you already used all of your vacation time, but, want to take another 2-day trip? Well, your side hustle can make up for the missed pay. Go ‘head and live your life, girl. Meet new friends outside of work. Sure, you love your colleagues. But sometimes it’s fun to connect with different kinds of folks. 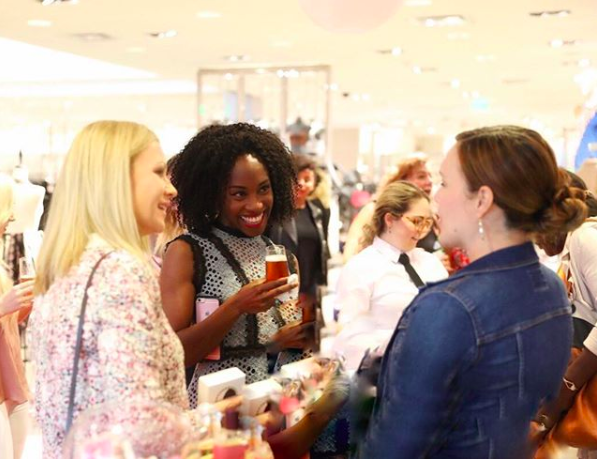 Having a side hustle will encourage you to attend events that are outside of your comfort and meet new people. Free products. This is especially true if you blog and/or have a social media presence. Brands love to send their products for people to try. And who doesn’t like free gifts. Discover new passions. Having a side hustle may introduce you to fun activities that you may have not discovered, otherwise. Like painting, underwater photography or snorkeling. You never know what life has to offer until you put yourself out there! Reduce feelings of burnout at work. Feeling uninspired at work? Even if you love your job, we need a creative outlet. Having a side hustle can help reinvigorate the once burning passion you had for your job. Create more structure in your life. When you pick up a creative gig, your time becomes even more precious to you. If you feel like you are all over the place and unsure of what you want to do with life, a side hustle may help give you the clarity you’ve been craving. More opportunities to give back and be a part of the community. Looking for ways to be more involved? With your side hustle, you can collaborate with local non-profits and organizations that align with your values. *Annual Percentage Yield (APY) is accurate as of 05/30/18. Minimum amount to open account is $100.00. Rate tiers are as follows: 0.00% APY applies to balances of $0.01—$9.99, 0.05% APY applies to the entire balance on balances of $10.00—$2,499.99, and 1.50% APY applies to the entire balance on balances of $2,500- $24,999.99. 1.86% APY applies to entire balance on balances of $25,000 or more. Rates may change after account is opened. Fees may reduce earnings. Ready to quit your job and do your blog full-time? Read this first. We’ve all had days that we’d rather be outside than sitting in our cubicle. But, for some of us those days turn into a weeks, and a nagging feeling that you are not doing what you are meant to be doing. If you are feeling uninspired and unchallenged in your current position, it may be a sign that you need to work for yourself. However, keep in mind that becoming a full-time blogger and entrepreneur is not for everyone. It is one of the most stressful, financially challenging, soul wrenching experiences you can put yourself through. But, for those of us that have a high tolerance for pain and truly believe that the vision of your life can only come to fruition through pursuing your passion as a full-time career, then taking the leap of faith on yourself will be the most rewarding experience. EVER. If you are one of those people and you are ready to say deuces to your job, here are some tips that we hope serve as a guiding light. There is no right or wrong way to go about quitting your job to do your blog full-time. Some people quit with no back up plan and very little savings. Others slowly build up their financial cushion and courage before they take the leap of faith. And many people are somewhere in between, holding down a ton of side gigs while they build their thing on the side. Only you can determine your risk tolerance and what makes the most sense for you during this season of your life. Here are five steps to consider while you preparing for the transition. Determine your income sources. As a blogger and entrepreneur, you need to have an idea for how you are going to make money. In the beginning, it’s wise to try multiple sources as you figure out what works best for you. Calculate how much money you need to make each month. You need to know the total of your monthly expenses for the basic necessities (such as rent or mortgage, food, utilities, etc) and a little extra for entertainment so you don’t go crazy. Also, don’t forget to factor in the cost of insurance, savings and investing for the future. Build up a financial cushion. The amount of money you will need in your savings account will depend on how much your monthly expenses are and the level of security you feel you need. If you have responsibilities outside of your individual self, such as children, then your cushion will need to be higher. Definitely check out the Radius Bank high-yield savings account. It has one of the highest APY rates* for savings accounts, which means you will earn more money on the cash you stash. Turn your employer into a client. Depending on your service offerings, your employer could be your first client. If your current job is similar to what you will be providing as a business owner, talk to your manager about becoming an independent contractor and billing the company as a client. They win because they won’t have to spend the time and money to train a new person. And you win because you are still bringing in an income and able to pursue your business. Ok, ladies. Here is the sad truth. We are falling behind in the wealth game. And yes, while the pay disparity does factor into this. It is also because we are not investing our hard-earned dollars. When it comes to net worth, the true marker of wealth, women hold 32 cents on the dollar compared to men. For black women it's 8 cents. For Latinas it's 4 cents. Ouch. The fastest way to close that gap is to start making our money work for us. Also known as investing. But, what does that actually mean? Making your money work for you? What exactly is investing? Is it safe? Why didn’t any of your professors talk about this stuff? Or maybe they did, and you weren’t in class that day. Hmmmm. Whatever. There's no time like the present. So grab a pen and paper and start taking notes. Now it’s time to grab a pen and paper and start taking some notes. The first thing to know is that the act of investing can create an opportunity for you to earn income outside of your paycheck without you putting in hours at your desk job. It’s as close as you can get to making money while you sleep. But, like anything that sounds too good to be true. There are some downsides. It is very possible that you can lose money with investing. Which is why it’s important to go into this situation after you have done some research and are fully prepared to handle any potential outcomes. Before you get started with investing, here are five questions you should ask yourself before you do. What are my goals? Before you do anything with money, it is important to set your intention and get clear on your goals. Are you hoping to pull this cash out in a year to travel the world? Do you want to stash it away for five years then pull it out to use as a down payment for a home? Do you want to keep it in one place until you are ready to retire? Gaining clarity around your goals will help you determine which investment strategy is the best for you. Am I financially stable? Investing is a risky endeavor and you should only do it when you have your basic needs met. Before you start investing, ensure that you have a comfortable cash cushion in your savings account and you can easily generate the money you need to cover your monthly expenses. If you are living off your credit cards or if your parents are still helping you out with your rent payment, then you are not ready to start investing. What is my risk tolerance? There are many different ways you can invest your money, known as vehicles. There are savings accounts, stocks, bonds, mutual funds, REITs, real estate and businesses. Each vehicle carries a level of risk. The riskier the vehicle, the more money you can make. It also means you can stand to lose a lot more money. The reverse is true for less risky vehicles. 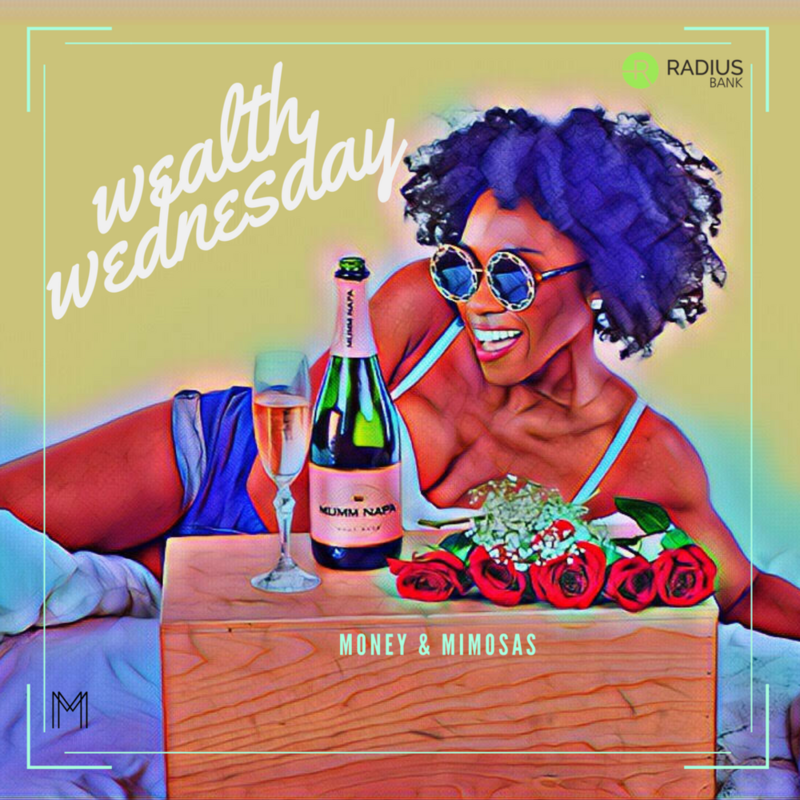 On the least risky side are bonds and savings accounts such as Radius Bank’s High-Yield Savings, which has a relatively high APY*. These vehicles have a low interest rate and a low rate of return, meaning you won’t make that much money from it. But, you also are guaranteed to not lose any money, either. The riskier vehicles include mutual funds, stocks and real estate. You need to determine for yourself, how much risk you are willing to take on. Generally speaking, the younger you are the more risk you can afford. But, you also have to take into account other life choices you wish to make- such as starting a family or business, and purchasing a home. Both, will require access to cash. For a general rule of thumb, subtract your age from 100. The difference is the percentage of risk you can take on. For example, if you are 30, your portfolio can be made up of 70% high-risk investment vehicles. This is only a general rule of thumb that you can use to make a decision that fits your needs. It is up to you to consult with a professional about your unique situation. Do I understand the difference between mutual funds, stocks and bonds? It’s important to be knowledgeable about investing before you jump into it. It would be like skiing down a Black Diamond slope without knowing how to ski. Sure, you could figure it out. But, more than likely you’re going to hurt yourself. You don’t have to know everything about investing - just like you don’t have to be an Olympic skier to have fun in Vail- but the more you learn, the better you’ll be at it. To help you get started, check out Radius Bank’s Money Management Academy. They have a section on investing that goes over the basic terms you should know and has some games you can play to get accustomed to investing. Who can I reach out to about investing? With anything new, it’s always nice to have people in your life that you can reach out to for advice or insight. Your parents may have tips for you. Talking about investing and your money goals with girlfriends is a great way to hold each other accountable and get a sense of what your peers are doing with their money. During the Money & Mimosas Like.A.Boss. Bootcamps, we spend time sharing our investment stories and learning from experts. Click here to stay in the loop about our next event. And now I want to hear from you! Have you started investing or are you thinking about investing sometime soon? This post was in partnership with Wells Fargo. Click here to read the full post. Looking for a life that offers more than daily routines or a rare overseas vacation, these business owners want to have more control over their lives, and their businesses. Rather than spend all their time trying to drive the business forward, they are content to run their businesses a certain way in order to generate enough income to live life the way they want to live it. Their goal, therefore, is for their business income to support their personal lifestyle goals. This type of business venture is increasingly being referred to as a lifestyle business. Take Sylvia Esmundo. After a career in financial technology, she decided to follow her passion and turn her lifestyle blog into a full-time business. Sylvia shared her learnings from being a lifestyle entrepreneur. 1) What inspired you to launch your lifestyle site, Sylvie in the Sky? A: I started blogging a long time ago, back in 2006, as a living journal of everything that inspired me — music, fashion, books, art, travel — and chronicles of my 20 something life. I paused for almost two years between getting married and having our son, Theo. And once I became a mother, I felt reinvigorated to start a new chapter of storytelling. There are a lot of mom bloggers and lifestyle bloggers out there, but not many that I truly related to, and very few Asian — let alone Filipino — ones. I wanted to be able to share my stories and hopefully be a source of inspiration and guidance for others like me. 2) How much time do you devote weekly to running your blog? A: Not as much time as I’d like! I’ve been focusing on Instagram first, since it involves one photo and a small caption — my version of microblogging. I would say on average 5-10 hours a week. Daily posting takes no more than one hour to write, post, and to make sure I’m liking and commenting on other friends’ content to show support. On weekends I’ll plan my content for the next 1-2 weeks so my Instagram feed looks balanced from an aesthetic point of view, and I’m scheduling my brand campaigns according to their due date. The planning takes another hour. And finally, I’m always exploring the city and shooting new content, and I spend about 3-8 hours a week creating content. I spend another 5-10 hours corresponding with brands for upcoming collaborations, attending events, etc. 3) For those that don’t believe that blogging is a “real job”, can you tell us about the skills it takes to be a successful digital influencer? A: I view blogging as running my own digital publication, and I’m the editor-in-chief, head of marketing, head of sales, head of PR, financial analyst, and stylist/model/graphic designer/photographer, all in one. I need to understand who my audience is and what they’re looking for every week/month/season. I write stories and create visual imagery that will inform, guide, and inspire. I need to create and consistently evolve my site experience to be easy to navigate on any digital platform, especially mobile. I analyze my site performance to understand what content is performing best and worst to refine and maximize these areas of interest and opportunity. And finally I’m pitching myself to brands and negotiating campaign deals and contracts, while tracking my incoming revenue and expenses to make sure those are in line come tax-filing time. Now with all that said, who’s going to tell me that blogging isn’t a real job? 4) Could you tell us a little bit about how it generates income for you? A: The smartest bloggers will create multiple revenue streams because it’s never wise to rely on one sole channel. For me, obtaining brand sponsorships from companies for native content campaigns on my blog and social channels are my biggest revenue channel. I also offer consulting services for content, digital marketing, and e-commerce strategy for influencers and brands of all sizes. Finally, affiliate marketing (marketing products from other affiliate businesses) is a growing area for me in which I recommend products that I love to my audience and they purchase them. Determine the goal that will drive your business decisions: Get clear on your values and what’s really important to you. Start with your tangible goal and ask “why?” as a follow-up several times to peel back the layers and ensure your real goal will surface. You have to be intentional with your business decisions to ensure that you are creating a company that supports that goal. Find the inspiration for your product or service: Are you inspired by other people’s visions and goals for themselves? Perhaps your business can focus on consulting. Or are you more motivated by impacting your community? Maybe your business will focus on philanthropy. Use motivation as a guide for choosing what product or services you can provide and which clients you want to serve. Stay grounded in reality: Every business is only as successful as its ability to solve a problem or address a yearning for its clients. Do your due diligence and talk to your potential customers. Ask them for feedback on your product and service, and be willing to adjust to meet their requests. Like any business, it takes time and effort to build a lifestyle-based company. For more tips on how to build a business that supports your lifestyle, click here to join the Money & Mimosas weekly newsletter. In today's post, we are spotlighting three amazing fintech companies that will help you manage and grow your wealth. And they are all founded by women with a mission to change the conversation about money. Woo hoo! The first company is Startwise. Started by two women founders in the Bay Area, they help small business raise funding by giving their peers the opportunity to invest in them. We love the emphasis on community building. And their newsletters have fantastic tips about how to grow your wealth. The second company is WorthFM founded by Amanda Steinberg, who you may also know as the CEO of Daily Worth. WorthFM makes investing easy for women and is passionate about educating you through the process. Yay! The third company is Banqer. Founded by Kendall Flutey, based in New Zealand. I am in love with this program because it's purpose is to help children with financial education. How amazing would it have been if we had all been taught about money at a young age?! Love it. Take a peek below for Q&A's with each of the founders. 1. Why did you decide to launch Startwise? Both Grace and Catherine worked in a Venture capital firm when they met, they saw so many great companies with revenues and customers looking to grow their existing business. unfortunately, they couldn't get funding since they were not the typical startup that will have a quick exit. We started talking to entrepreneurs and brainstorming about different alternative options. Turned out there were not that many. So bridging the capital gap for small businesses became the mission. Including the people using revenue sharing model became the solution. 2. Who is Startwise geared towards? - Product businesses with a minimum of 1-2 years in operations and minimum of $200,000 in annual revenues looking to expand and grow their company to the next level. - The people: US residents of various wealth level and financial experience, looking to generate passive income while aligning the money with their values. 3. What if I don't have a lot of money, can I use Startwise? How much money should I have to invest? Yes! That is why Startwise is around. People can invest as small as $100 and up to $2200. If you want to invest above the $2200, then the maximum will depend on the income and net worth level, as regulated by the Regulation Crowdfunding rules. 4. What makes Startwise different from other crowdfunding platforms? We focus on revenue sharing instead of equity. We work with existing small businesses instead of idea stage startups. It is a great way to diversify the investment portfolio not only by including different type of companies, but also a different mechanism of investing. We've also built our own software that facilitates not only the full investment process but the repayment as well - easy and accessible. 5. What is your big vision for Startwise? What is the lasting legacy you hope to instill through this platform? A truly inclusive economy is our vision. Small businesses are the backbone of the US economy, they create jobs and generate income for the majority of the people in the country. Our dream is not only providing the alternative to business funding but also tapping into the wealth gap issue. 6. What is your #1 piece of advice to a woman who is new to investing? Be you! Because you are totally rocking it. Multiple data sources show that women business owners and investors have been outperforming men in generating higher returns and success rates for a while now. We take our time to get ready, to research, we use both our brain and our intuition, we are good in listening to the market. Stop doubting yourself because there is no reason you should. 1. Why did you decide to launch WorthFM? We began in 2015. We launched in Feb 2017. The federal regulatory process is very complex. 2. Who is WorthFM geared towards? Women ages 30-55 with between $25,000 and $500,000 in investments. 3. What if I don't have a lot of money, can I use WorthFM? How much money should I have? You can begin with $50. We offer a free savings account that allows you to open an account with us, no matter what. 4. What makes WorthFM different from other "roboadvisors"? How is it different from working with a financial advisor? We educate you as you invest so that you become smarter and more confident as your money grows. The others only focus on your portfolio. 5. What is your big vision for WorthFM? What is the lasting legacy you hope to instill through this platform? Diversify across multiple asset classes. 1. Why did you decide to launch Banqer? The launch of Banqer came after a series of serendipitous events starting with me leaving my career as an accountant. I retrained in software and shortly after landed my dream job as a developer, but not before returning to my family home for a weekend to recharge. It was there that a simple conversation with my then 12 year old brother sparked the inspiration for Banqer and kick-started the journey. For the first time I realised both the impact in-class financial education could have on a child, and also a child’s capacity to comprehend a vast range of personal finance topics. Within four months Banqer was alive. 2. Who is Banqer geared towards? Banqer is used by elementary and middle schools and our students range from six to thirteen years old. The platform is specifically designed to be used as an in-class tool (aligning to teaching standards and curricula), however we also get some parents using Banqer at homes as well. 3. What if I don't have a lot of money, can Banqer still benefit me? Given our users are students under thirteen most don’t have a lot of money and yet Banqer is extremely effective. When it comes to financial education your financial position is merely a starting point and there’s not a threshold you need to reach in order to engage, anyone can. It’s also arguable that those with a lower net wealth will see the most radical proportionate increases in wealth from starting their financial education journey as well. 4. What makes Banqer different from other financial education tools? The biggest difference between Banqer and traditional financial education tools/resources is the experiential simulation we create that mimics an economy. All financial behaviours are contextualised inside Banqer as students engage financially just like we do in the real world. By creating an environment as closely aligned to what they will experience later in life, the decision making process, consequences felt, and perceived risk are as realistic as possible. This creates an environment that feels real to the students, so it’s not so much considered a lesson but instead practical financial experience. 5. What is your big vision for Banqer? What is the lasting legacy you hope to instill through this platform? Our mission is to see Banqer enabling students everywhere to be prepared for the financial world that lays ahead of them. Too many of us learn financial lessons by trial and error and often when it’s too late. Banqer has the potential to improve financial literacy (we see an average increase of 16%), shape positive financial behaviours, and instill confidence in the next generation. The economic externalities of this are huge and that makes us extremely driven to provide Banqer to those who wish to use it. 6. What is your #1 piece of advice to a woman who is new on journey of financial education? Distinguish the difference between a need and want early. Marketing forces spend billions annually to try and blur the lines between these, often specifically targeting women. Decide what you need in your life, and what is just noise and don’t let yourself be swayed. From there you’ll have a better understanding of what’s important to you and you can frame your financial goals around them. For more money tips for the independent woman, be sure to click here and join our weekly newsletter.